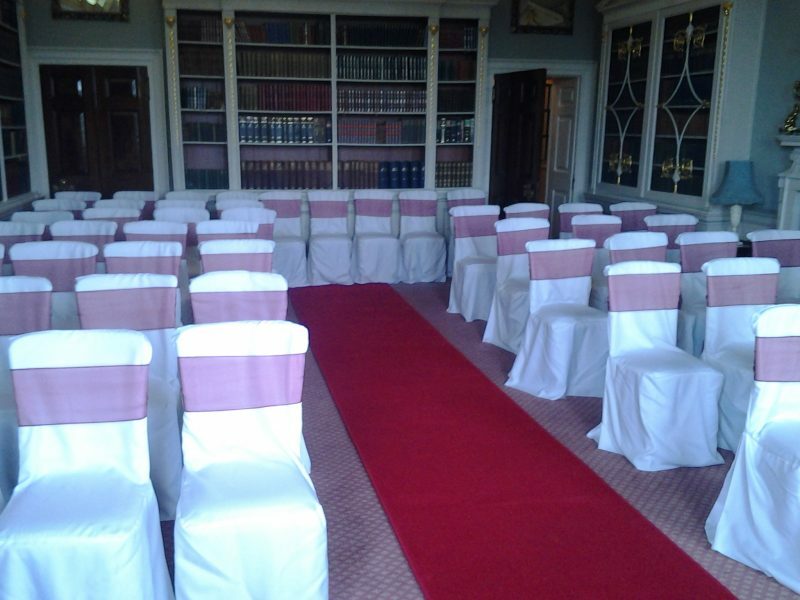 You will have chosen a wonderful venue for your wedding but now turn it into an amazing venue by choosing to have an ivory or red carpet to walk along on your big day. Set off your style and presence with this added touch of elegance. 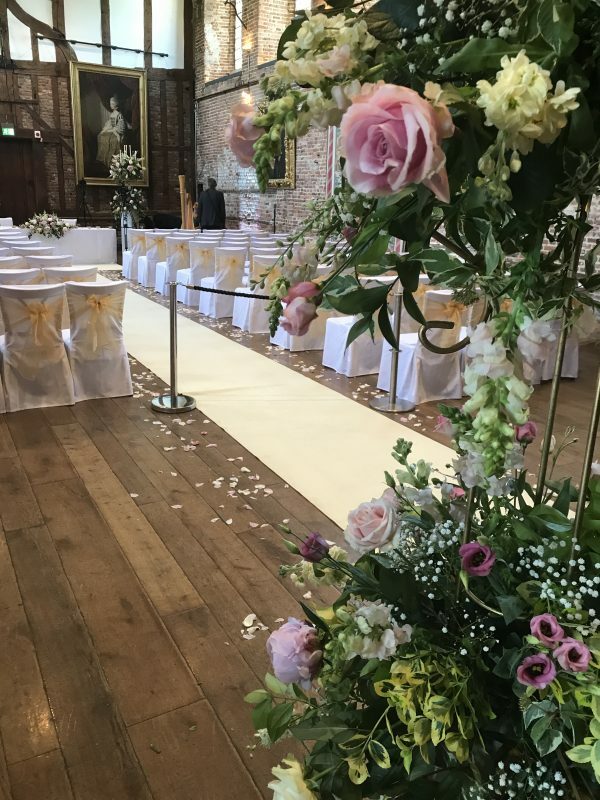 Perhaps the venue has a coloured or patterned carpet that doesn’t go with your colour scheme or you may be marrying in a beautiful barn which will be shown to its full beauty with the addition of a carpet runner. Our runners are true edged carpet and not artificial runner bought by the metre as supplied by many other companies. Please contact us and let us know your requirements, prices from £50 for 12 feet of carpet. The hirer is the person named on the booking form. The hirer shall be solely responsible for the hired goods not the venue/hotel or any other third party. The hire period is 24 hours and may be extended at the hirer’s discretion for which a charge may be made. A 25% non refundable deposit will be required to secure a booking. The balance is payable four weeks before the hire. If a booking is cancelled more than four weeks before the hire no further payment is due. Within four weeks full payment becomes due. The hirer will provide a cost for delivery/fitting/collection at the time of booking. No security deposit is due but we would advise that should damage beyond the expected caused by muddy shoes etc. or should the runners not be avaialbe for collection after your event you would be liable for a replacement runner. WEDDINGHOUSE will not be held liable for any injury or damage to persons or property during the period of hire. Weather permitting WEDDINGHOUSE are happy for carpet runners to be used outside with prior permission. 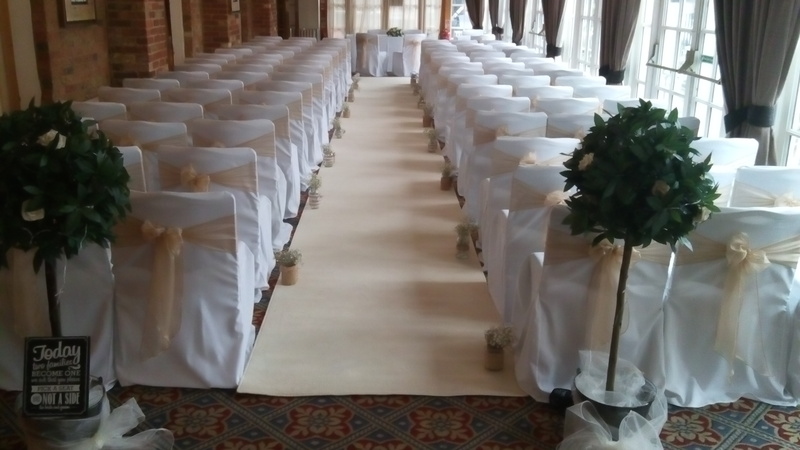 WEDDINGHOUSE reserves the right to place carpet runner/s after guests are seated if the weather has been inclement.